Written by Energy Matters on 03 November 2018 . Snowy Hydro has signed eight wind and solar contracts in a bid to reduce its energy prices. The government-backed energy provider says the new types of renewable generation will firm up its existing power production. Hydro power of course is the most traditional renewable source of electricity. It will also help deliver cheaper power to 500,000 households. The new wind and solar farms will increase electricity supply and keep the market competitive. They also help Snowy Hydro cover the shortfall in existing energy generating capacity. Victoria and NSW will host the renewable energy projects. Together they will provide 888 MW of clean energy. This generates around 2.8 terawatt hours of annual power. 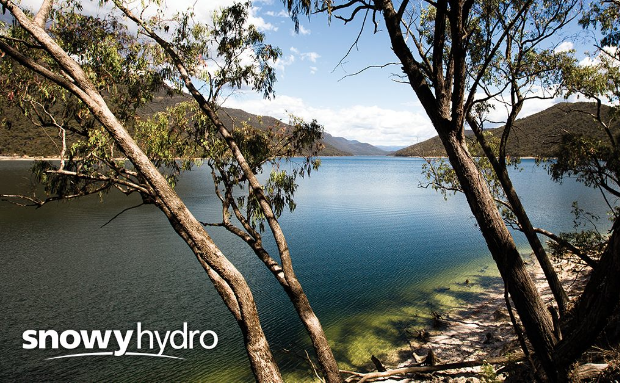 Snowy Hydro will therefore be able to firm up output from its hydro-electric, gas and diesel power plants. Current production cannot meet consumer demand for electricity. It will also balance the intermittent nature of wind and solar power. Other forms of generation therefore kick in when the sun isn’t shining and the wind drops. Snowy Hydro is now an integrated energy business. It generates power, provides products for wholesale customers and delivers energy to homes and businesses. The company is one of the largest energy buyers in the National Energy Market (NEM). It is therefore often forced to pay high wholesale energy prices. Because renewable costs have fallen so dramatically over the last decade, Snowy Hydro now sees clean energy like wind and solar panels as a more cost-effective form of energy production. Eight renewable projects were therefore selected from the company’s Renewable Energy Procurement Program. A total of 17,600 MW of projects were submitted under the scheme. As a result of this clean energy production, Snowy Hydro can offer supply contracts at less than $70 per megawatt-hour for up to 15 years. This undercuts the NEM’s current wholesale electricity prices. Snowy Hydro owns electricity retailers Red Energy and Lumo Energy. Together these companies have more than one million customers. The company has 16 power stations and generates an average of 4,500 GWh of electricity each year. This equals 5,500 MW of capacity across NSW, Victoria and South Australia. The 4,100 MW Snowy Mountains Scheme is central to the company’s power production. The scheme produces hydro-electricity in Australia’s Southern Alps. News item provided courtesy of Energy Matters Australia.